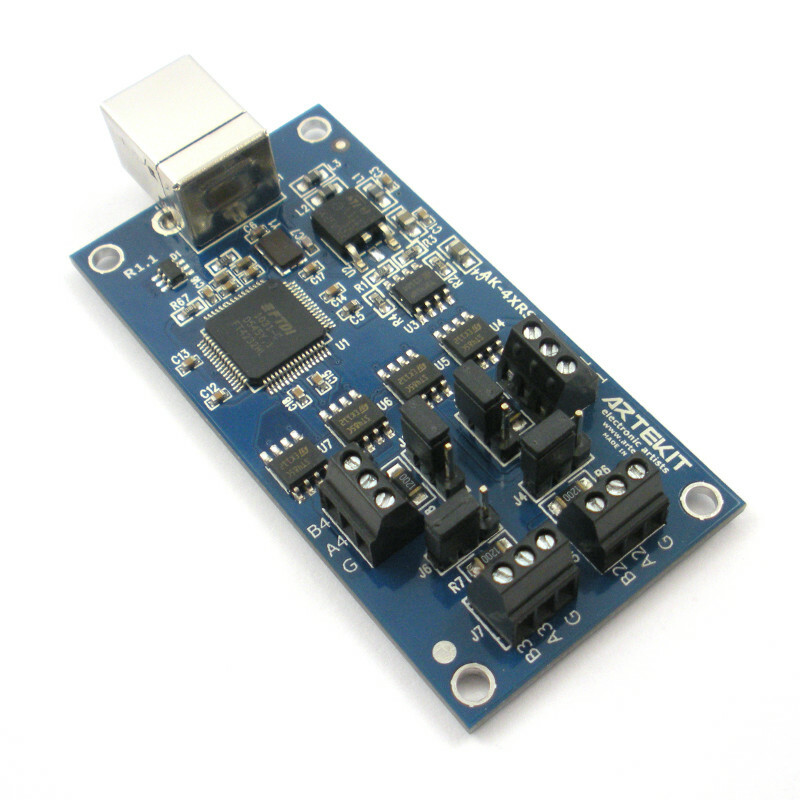 The AK-4XRS485 is an USB-to-RS485/422 converter. RETIRED: This page is kept as reference. You can find a replacement here. 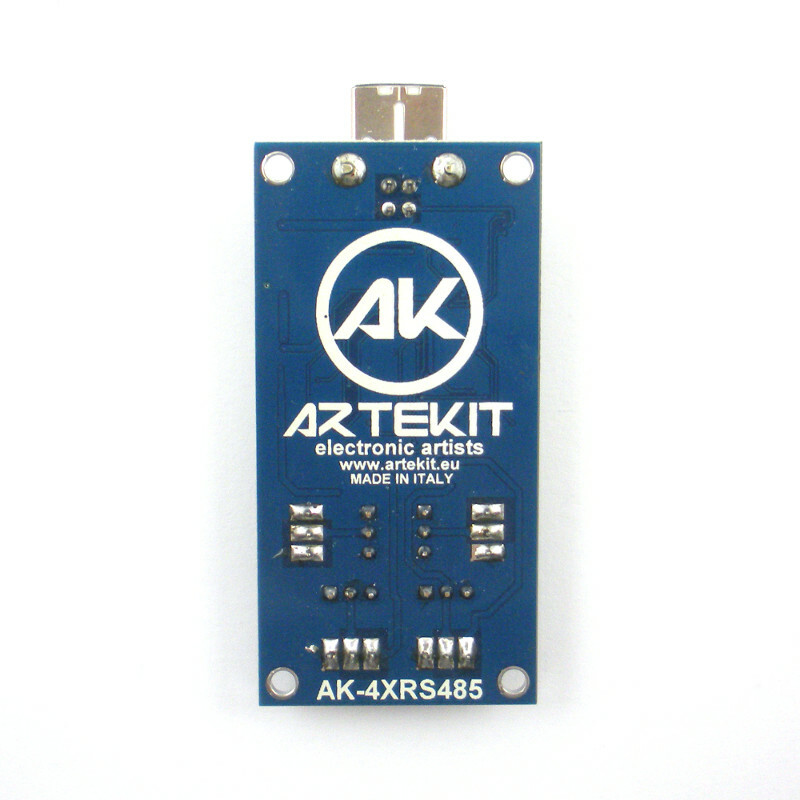 The AK-4XRS485 allows you to connect your PC to a network of RS485/422 devices. 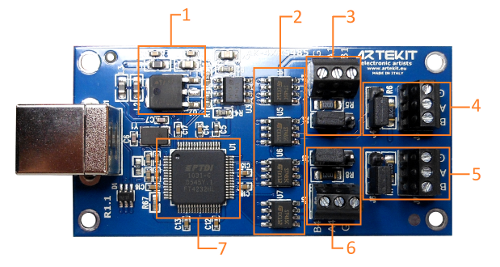 Every RS485/422 channel can be accessed as a normal serial port (es. 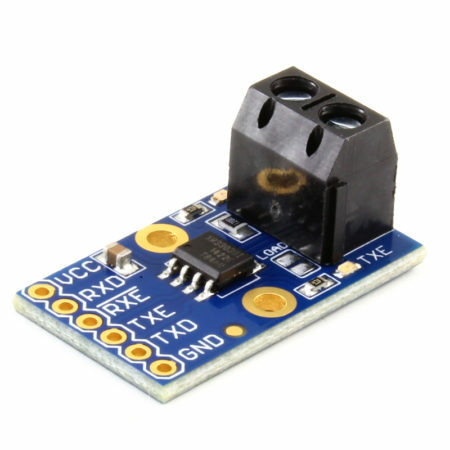 COM1) or using the FTDI API (D2XX). 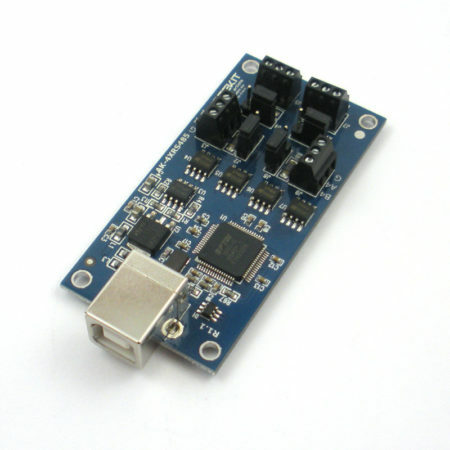 It is based on the powerful FTDI FT4232H High Speed USB device to get four RS485 channels. The board has a jumper on each channel to select the 120 Ohm load terminator resistor. 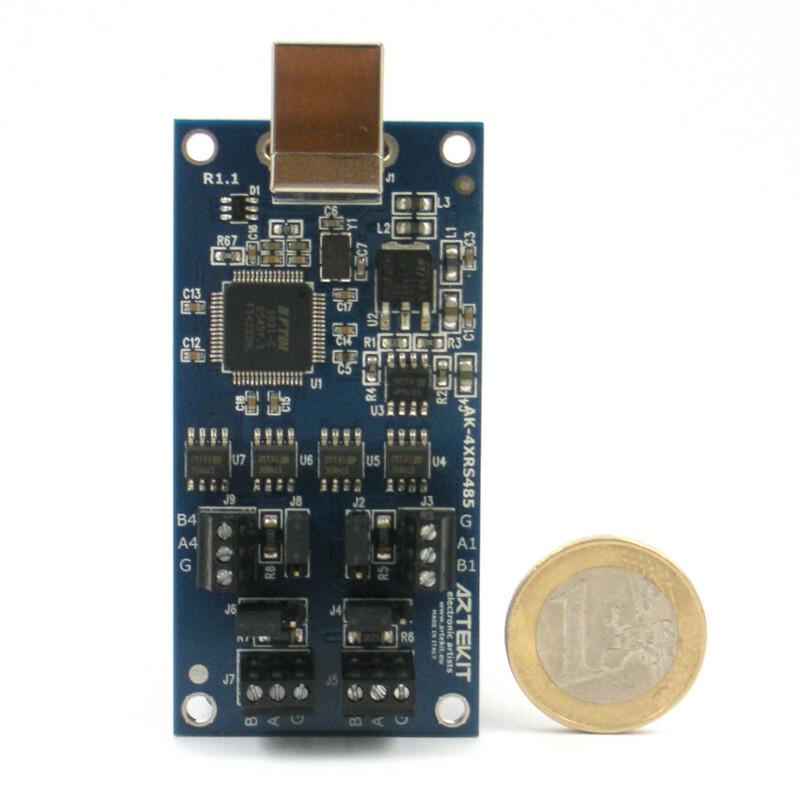 There is also a 128 bytes EEPROM to save custom parameters. 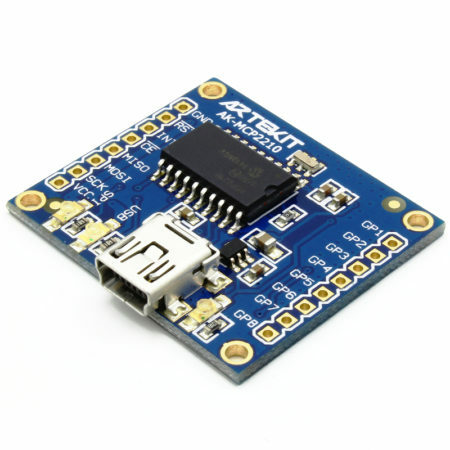 Drivers for any Windows version and Linux are provided free from the FTDI site. 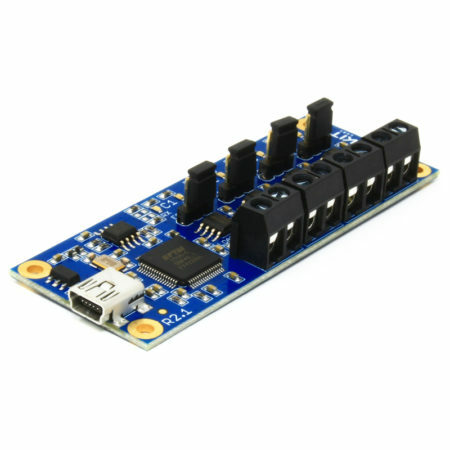 Good day, what is the minimum and maximum speed RS485 interface? Does not standard transmission baudrate (7E1), or only standard (8N1)? They will work driver with Raspberri Pi 2? Hi. The PHY on this board supports max. speed up to 2.5Mb/s. 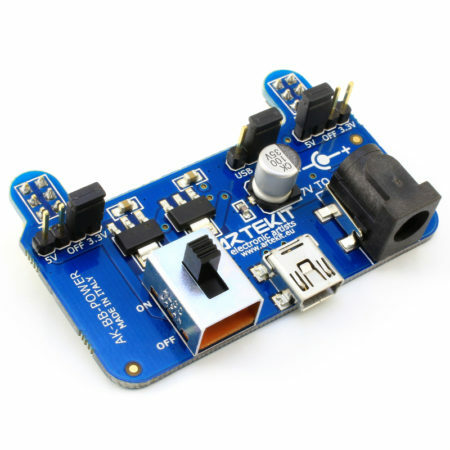 It can transmit and receive with 7 or 8 bits, 1 or 2 stop bits, with or without parity.